On November 30, Rio Tinto announced that unless the US Congress passes the Oak Flat land exchange immediately, they will lay off 80% of their workforce at Oak Flat between now and March. In an orchestrated fashion, Senator McCain and Congressman Gosar both urged the Congress to pass the land exchange this year and an AZ Republic Op-ed decried Senate inaction. Since Rio Tinto has made similar statement during every Congressional season since the land exchange has been introduced, organizations opposing the land exchange have blasted the announcement. On September 29, the Pima County Department of Environmental Quality denied Augusta Resource Corporation an air quality permit for the proposed Rosemont mine. Pima County cited a number of deficiencies in the permit application. (Read Pima County’s letter to Augusta here.) Augusta now has several options. They can appeal the decision, give up and go home, or they can submit a new, correct permit and try again. This is good news and shows that Augusta does not have the wherewithal to handle the intricacies of building a mine. While this does not mean that the fight to protect the Santa Ritas is over, it does show that despite Augusta’s multi-million dollar PR campaign to bully Tucson and the surrounding communities into accepting their mine proposal, has fallen short. Curis Resources, a Canadian Junior mining company is proposing an in-situ copper mine on the banks of the Gila River within the town boundaries of Florence, Arizona. Don Steuter, the Conservation Chair of the Grand Canyon Chapter of the Sierra Club (and one of our steering committee members), wrote an editorial about the proposed project which appeared in the Arizona Republic today. 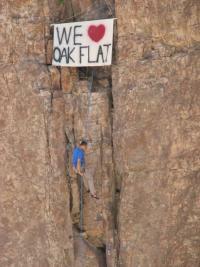 Several organizations have sent letters to the House Natural Resources Committee opposing the Oak Flat land exchange. The Access Fund -- A national climbers advocacy group dedicated to climbing access and conservation. The National Trust for Historic Preservation -- an organization dedicated to saving historic places and revitalizing America's communities. 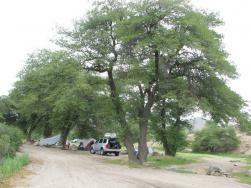 Concerned Climbers of Arizona -- an organization advocating continued recreational access to climbing areas that are threatened by development or other forms of encroachment.